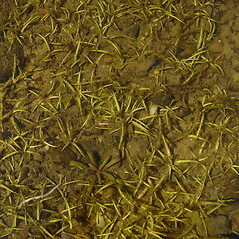 American shoreweed is a native plant of shallow lake water, sometimes emersing as water levels decline. 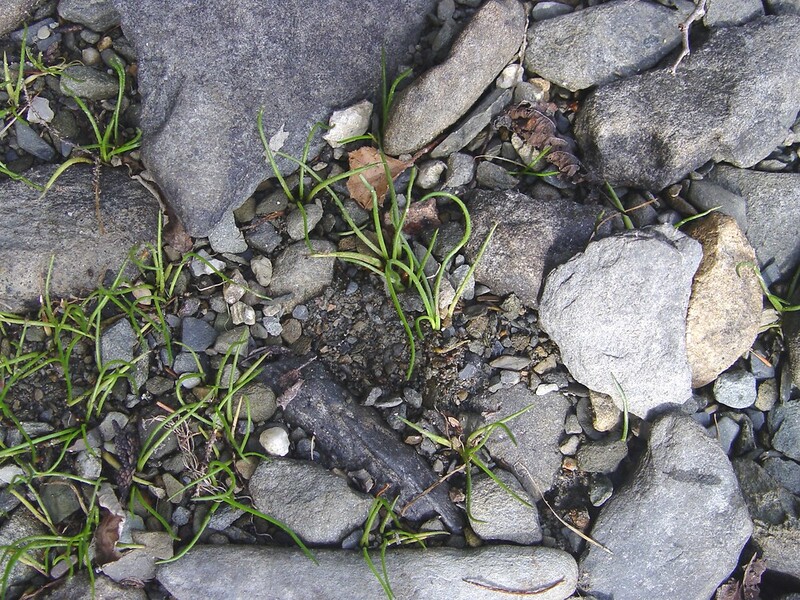 It prefers sandy or gravelly substrates. 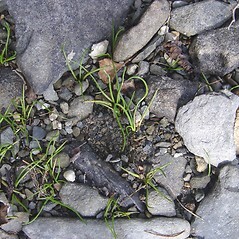 A northern species, it is known only from Maine and Vermont in New England. 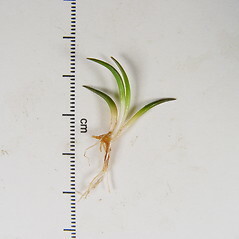 The 1-inch (2 cm) long leaves of these tiny plants are stiffly spreading from a rosette and are rounded in cross-section. Separate "male" and "female" flowers are borne on the same plant, and are pollinated by wind. 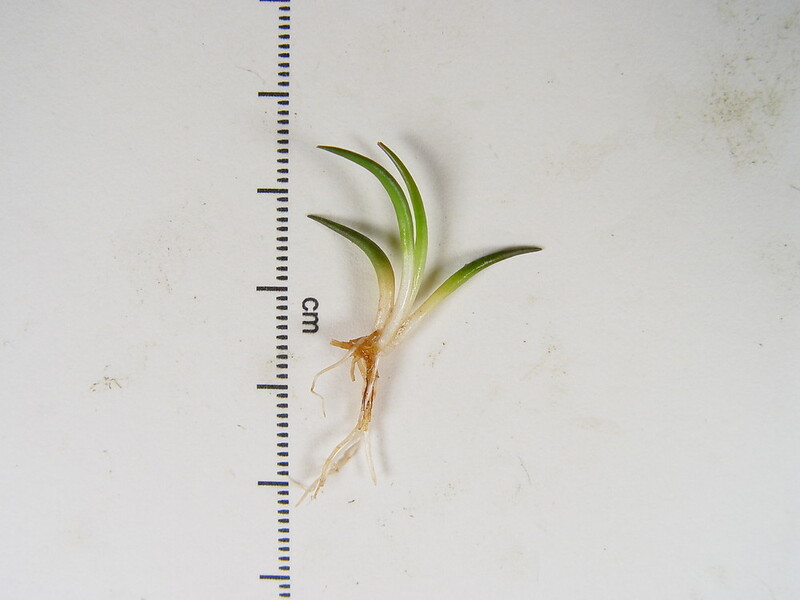 The plant can form colonies linked by stolons and rhizomes. 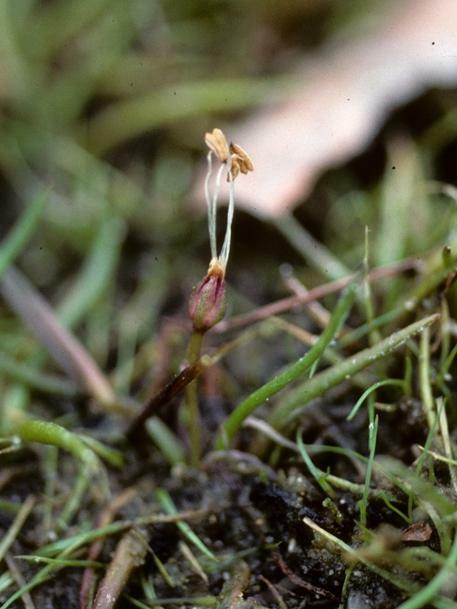 Recreation and shoreline development threaten this plant, and several efforts are underway to restore degraded habitat for the species in Minnesota. 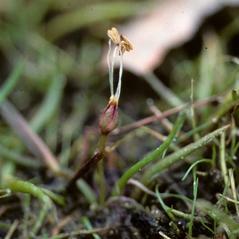 flowers with short, but conspicuous, yellow petals, and plants connected by arching, green stolons (va. L. Americana, with flowers lacking conspicuous yellow petals and plants connected by white stolons). 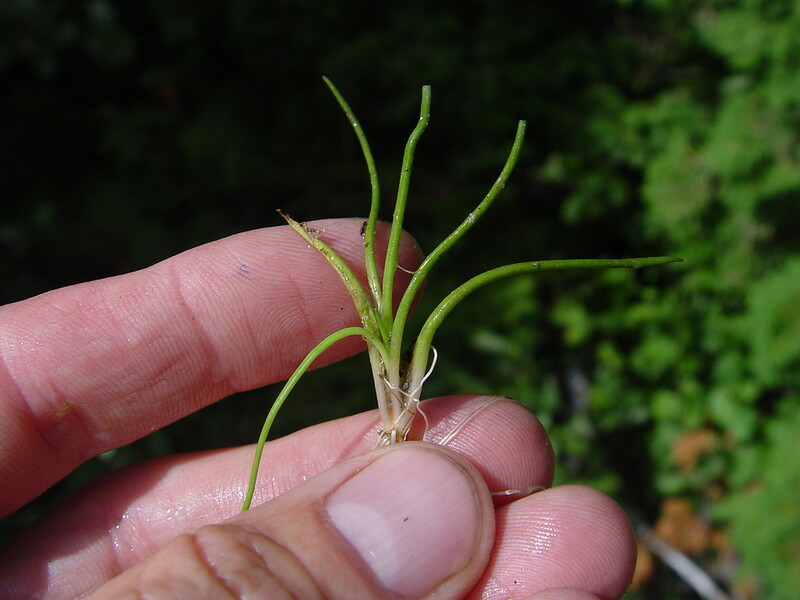 American shoreweed. 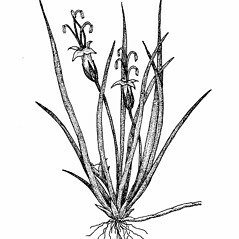 Littorella uniflora (L.) Aschers. var. 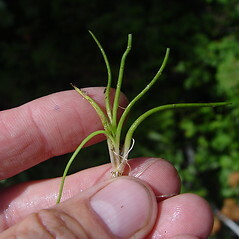 americana (Fern.) 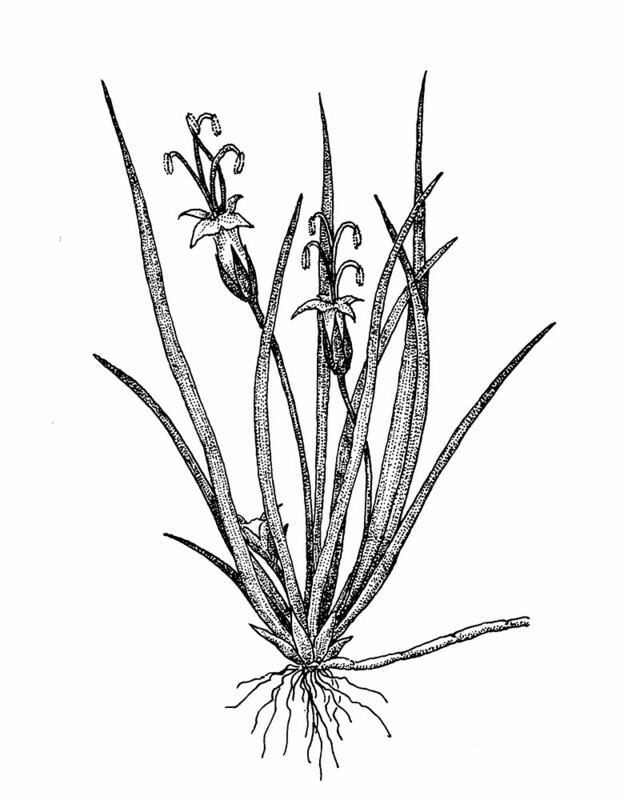 Gleason; Plantago americana (Fern.) K. Rahn • ME, VT. 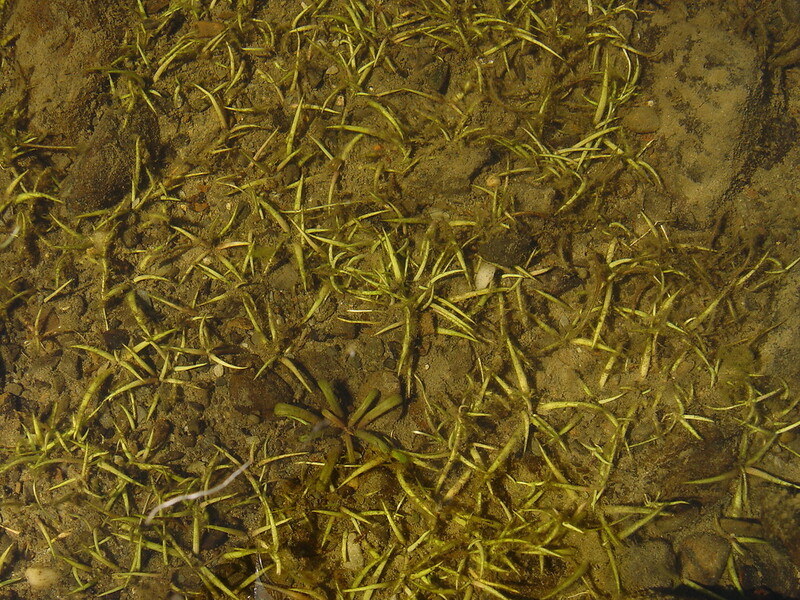 Shallow water of lakes, sometimes emersed as water levels decline later in season.